The author, J.T. 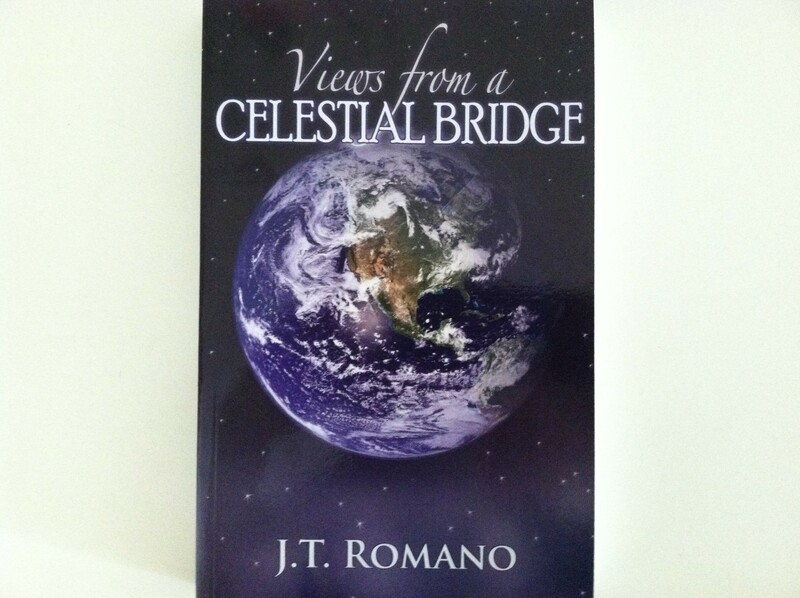 Romano, who wrote Views from a Celestial Bridge had this to say about my work on her manuscript: I really appreciate your comments and suggestions about the grammar continuity and pointing out where I need to be clearer etc. I find this invaluable input presented by you in a most sensitive gentle way. On the Amazon.com review of J.T.’s book, I wrote: What a gift to anyone who seeks books as a source of inspiration and thought-provoking nudges. Beautifully written with enough to fully develop the concept and brief enough to leave you wanting more, more and more! Truly a unique approach to some of the major questions we have in life–what is our purpose? What am I doing here? How can I improve? Timeless topics about love, forgiveness, compassion, understanding, acceptance and others are offered in meaningful stories that have the reader screaming, “YES!” Thank you, Ms. Romano for your insights and your wisdom. WE have been waiting to hear your “views”. I had the privilege of working with Jenny on her manuscript which was to be the first book of an intended trilogy. The day Jenny and I had lunch to celebrate the publication of her book, she also told me of a new cancer diagnosis. She spoke positively and confidently about her health challenge. She “walked the talk” of her book and I will never forget the feeling of peace, calm and serenity from which she spoke. On May 2, 2012 I had just completed five Camp StarHeart programs for kindergarten classes at Holder School in Buena Park, CA. There was a voicemail messsage on my phone. It was her husband, Robert, telling me Jenny’s soul had traveled on. Given that was her belief and the underlying theme of her book, I cried for the loss of a dear new friend and celebrated her onward journey. May your wings be flapping with joy, Jenny. And thank you for being a one-winged angel helping me to fly.